We see “sports” as a lifestyle rather than going to a gym. That is why we organize events in different sports branches that enable us to discover, to improve and have fun while we push our limits in life and get to know our very own bodies. Since 2010 we have been organizing the first international multi stage ultra-marathons of Turkey, Lycian Way Ultra Marathon, Runfire Cappadocia Ultra Marathon and Runfire Salt Lake Ultra Trail, as well as events involving different sports branches such as Uzunetap Night Runs, Longest Night / Run or Ride, RunMarisRun and Moonlight Cappadocia. In every year, we continue connecting people from all age groups with nature and sports. We carry out all our events above world standards with professional teams in health and security. Our main goal is to organize better quality, more heated, fun and challenging races, and to contribute to the world of sports in Turkish with brand new events. 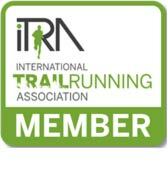 Uzunetap is a member of International Trail-Running Association. We don’t believe in doing sports, we see sports as a lifestyle. That is why we organize events in different sports branches that enable us to discover, to improve and have fun while we push our limits in life and get to know our very own bodies.